Long climbs involve many dangers. Head protection is extremely important. 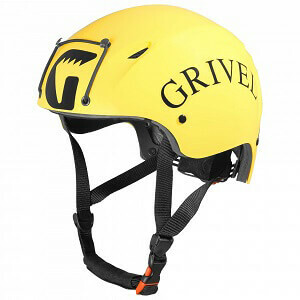 Therefore, a high-quality hybrid helmet is an indispensable component of any climbing equipment. Be it rockfall, slippage, or falling down, accidents can happen anytime. Hybrid helmets protect your head reliably and make any climb an accident-free success. What is a hybrid helmet? Hybrid helmets comprise all the positive characteristics of hard shell helmets and foam helmets. Their outer shell consists of a plastic shell, which is most often made of robust ABS plastic. The rigid foam element inside the hybrid helmet is often made of EBS and makes the helmet extra safe. The hard outer shell of the hybrid helmet protects your head from shocks, gravel, and equipment coming off the climbing harness of your leader. The inner shell dampens the shock as well and reduces the forces of the impact on your head. What are the most important characteristics of hybrid helmets? The hybrid helmet must withstand even the worst accident and protect the head from injuries. Therefore, hybrid helmets must pass a strictly regulated norm test like any other climbing helmet. Only if they make it through the test, hybrid helmets are put on the market as proper climbing equipment. This practice guarantees that the hybrid helmet is capable of protecting the head sufficiently. It is also important for these helmets to be comfortable to wear and fit perfectly. A loose, pinching, or scratching hybrid helmet can be a distraction while climbing. In order to prevent your helmet from becoming a burden, you should see if it fits firmly before buying it. Many hybrid helmets can be adapted to your head shape by means of different adjusting systems.